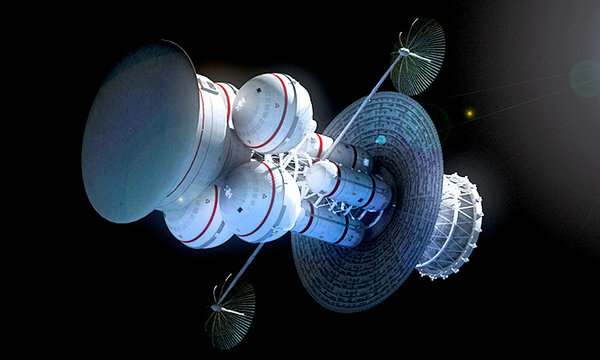 Interstellar Travel: Which Species Gets to Go? The 32,000 year old seed of a complex, flowering plant recovered from the ice was recently germinated by a team of scientists in Siberia. Ancient bacteria, as much as 250 million years old have been recovered from sea salt in New Mexico, and also brought back to life. Tiny animals known as tardigrades have survived when exposed to the harsh environment of outer space. We might choose the species from among such candidates most likely to survive the 50,000 to 100,000 years required to journey to nearby stars with conventional rocket propulsion, and most likely to evolve into complex, land-dwelling life forms in the shortest time, and send them now, instead of waiting 100’s or 1000’s of years for the emergence of the advanced technologies necessary to send humans. Slowing down at the destination star would not pose nearly the problem that it does for objects traveling at significant fractions of the speed of light. The necessary maneuvers to enter orbit around and seed promising planets could be performed by on-board computers with plenty of time to spare. Oceans might be seeded with algae in advance of the arrival of organisms that feed on it (and breathe the oxygen it would release). Why would we want to do such a thing? Survival! Morality exists only because animals equipped with it were more likely to survive. We are one such animal. There is no such thing as an objective “ought.” However, given the reason that morality exists to begin with, the conclusion that nothing can be more immoral than failing to survive does not seem unreasonable. It one accepts that logic, it follows that our first priority “should” be the survival of our own species, and our second should be the preservation of biological life. It’s really just a whim, but I hope that many others will share it. The alternative is to accept the fact that one is a defective biological unit, resigned to extinction, which I personally don’t find an entirely pleasant thought. Let’s assume that a canonical voyage will last 25,000 years. Conventional rockets are capable of reaching the nearest star systems in that time. 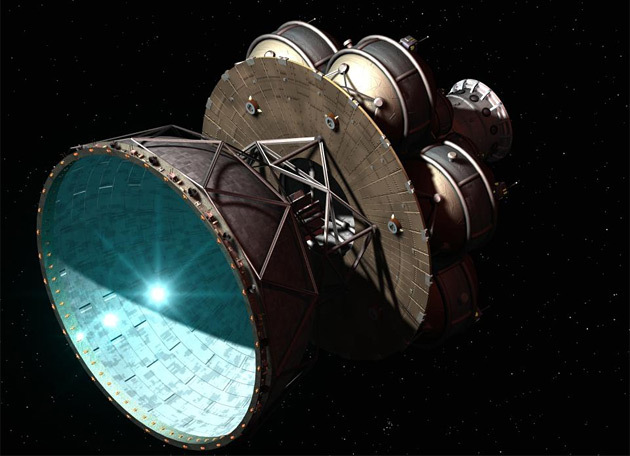 By using nuclear propulsion of the type that was successfully tested 50 years ago, we should be able to reach stars within a distance of a dozen light years or so within the same period. As noted above, there are life forms that could survive the voyage. The particular ones chosen would be those most compatible with the conditions existing on candidate planets. Needless to say, the conditions of our own atmosphere, oceans, etc., have been drastically altered by the long existence of life on our planet. Finding such conditions on reachable planets is most unlikely, and our biological voyagers must be chosen accordingly. It will be necessary to develop certain technologies that we do not as yet possess. Fortunately, they are all within reach, and nowhere near as demanding as, say, fusion or anti-matter propulsion systems. For example, we will need a timing device that can keep “ticking” for 25,000 years, and, when necessary, signal the rest of the interstellar package to “wake up.” The Long Now Foundation has made some interesting starts in this direction, in the form of giant mechanical clocks that are designed to run for 10,000 years. Of course, those designs aren’t exactly what we’re looking for, but if one can conceive of a 10,000 year mechanical clock, than a 25,000 year digital clock must be feasible as well. A similar problem was solved by John Harrison more than two centuries ago, in the form of a clock that kept time exactly enough to keep track of a ship’s longitude. If he succeeded in solving the British Navy’s problem with the technology that existed then, we should be able to succeed in solving our own clock problem with a technology that is now far more advanced. Generic Redundant Blocks – redundant components that are generic and can be programmed to replace any type of failed component. An example might be field-programmable gate arrays (FPGA’s). Adaptive Fault Tolerance – Working around failures instead of replacing failed components with spares. Self-repair components – Including self-repair with nano-technologies and self-healing with biologically inspired technologies. Regenerative systems – Modular regrow with biologically inspired technologies. 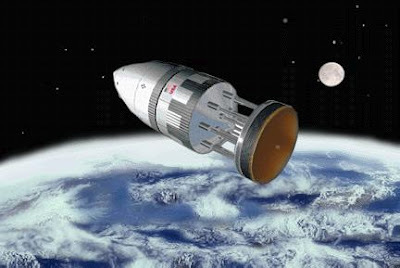 In interesting presentation on the subject by NASA scientist Henry Garrett, who happens to prefer Project Orion-type interstellar missions with propulsion by few kiloton nuclear devices, may be found here (sorry about the long-winded introduction). Dave Reneke recently posted an interesting if somewhat speculative article on various types of self-replicating interstellar probes entitled How Self-Replicating Spacecraft Could Take Over the Galaxy. Of course, none of this fine technology will work without a reliable power supply that needs to last, potentially, for upwards of 25,000 years. It so happens that we have just the isotope – plutonium 239. You might call it the ultimate dual use material – life or death. It is ideal for making nuclear bombs or carrying life across interstellar distances. Of course, another isotope of plutonium, plutonium 238, has already been used to power many spacecraft, including the Voyagers and New Horizons. Unfortunately, with a radioactive half-life of only 87.7 years, there would only be a few atoms of it left after 25,000 years. Pu-239, on the other hand, has a half-life of 24,100 years – just about what’s needed. Of course, it could only provide a tiny fraction of the power of Pu-238 via radioactive decay. Not much is required, though – only enough to keep the clock going. At key points in the mission, of course, a great deal more power will be necessary. And that’s what brings us to the reason that Pu-239 is ideal – it’s fissile. In other words, it’s an ideal fuel for a nuclear reactor. When high power is needed, the plutonium can be assembled into a critical mass, serving as either a conventional reactor or a space propulsion system. I am convinced that all of the above can be accomplished in a matter of a decade or two instead of centuries if we can somehow again achieve the level of collective willpower we reached during the Apollo Program. Of course, this old planet of ours could easily go on supporting high tech human civilizations until we master the art of interstellar travel on our own. It might – but why take chances? But Wait! There are More “Worries” from The Edge! I won’t parse all 150+ of them, but here are a few more that caught my eye. …most scientists have conceded the high ground of determining human values, morals, and ethics to philosophers, agreeing that science can only describe the way things are but never tell us how they ought to be. This is a mistake. It’s only a mistake to the extent that there’s actually some “high ground” to be conceded. There is not. Assuming that Shermer is not referring to the trivial case of discovering mere opinions in the minds of individual humans, neither science nor philosophy is capable determining anything about objects that don’t exist. Values, morals and ethics do not exist as objects. They are not things-in-themselves. They cannot leap out of the skulls of individuals and acquire a reality and legitimacy that transcends individual whim. Certainly, large groups of individuals who discover that they have whims in common can band together and “scientifically” force their whims down the throats of less powerful groups and individuals, but, as they say, that don’t make it right. We begin with the individual organism as the primary unit of biology and society because the organism is the principal target of natural selection and social evolution. Thus, the survival and flourishing of the individual organism—people in this context—is the basis of establishing values and morals, and so determining the conditions by which humans best flourish ought to be the goal of a science of morality. The constitutions of human societies ought to be built on the constitution of human nature, and science is the best tool we have for understanding our nature. Apparently the basis of Kelly’s worry is the assumption that, once the earths population peaks in 2050 or thereabouts, the decrease will inevitably continue until we hit zero and die out. In his words, “That worry seems preposterous at first.” I think it seem preposterous first and last. Apart from all of these difficulties, the more important point is that there is no good reason to make the trip in the first place. If we need a new “Earth 2.0,” then the Moon, Mars, Europa, or other intra-solar-system bodies are far more likely candidates for human colonization than are planets light years away. So, however romantic and dreamy it might sound, and however much it might appeal to one’s youthful hankerings of “going into space,” interstellar flight remains a science-fictional concept—and with any luck it always will be. In other words, he doesn’t want to go. By all means, then, he should stay here. I and many others, however, have a different whim. We embrace the challenge of travel to the stars, and, when it comes to human survival, we feel existential Angst at the prospect of putting all of our eggs in one basket. Whether “interstellar flight remains a science-fiction concept” at the moment depends on how broadly you define “we.” I see no reason why “we” should be limited to one species. After all, any species you could mention is related to all the rest. Interstellar travel may not be a technologically feasible option for me at the moment, but it is certainly feasible for my relatives on the planet, and at a cost that is relatively trivial. 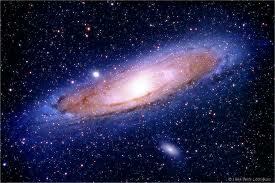 Many simpler life forms can potentially survive tens of thousands of years in interstellar space. I am of the opinion that we should send them on their way, and the sooner the better. The ‘anthropocene’ era, when the main global threats come from humans and not from nature, began with the mass deployment of thermonuclear weapons. Throughout the Cold War, there were several occasions when the superpowers could have stumbled toward nuclear Armageddon through muddle or miscalculation. Those who lived anxiously through the Cuba crisis would have been not merely anxious but paralytically scared had they realized just how close the world then was to catastrophe. The words “interstellar travel” seem to have generated some interesting data relevant to human behavior. Specifically, they generate a “good” moral intuition in some, and a “bad” moral intuition in others. There does not appear to be a linear relationship between the nature of the response, and the space occupied by the responder along the left/right political spectrum, or at least not yet. For example, Bill Clinton, who is identified, by conservatives, at least, as a “liberal,” recently gave a boost to DARPA’s 100 Year Starship Program. The similarly liberal editors of the New York Times, on the other hand, have just published a piece in their Op-ed section by astronomer Adam Frank heaping scorn on the very idea of travel to the stars. Perhaps the ideological divide will eventually become more focused, as the reasons given on the “bad” side tend to gravitate to the left. They include for example, the conclusion that only rich people will have the means to leave our home planet, leaving the poor, exploited masses behind on a planet they have polluted and despoiled, the belief that the result of interstellar distractions will be insufficient levels of alarm about problems such as global warming and overpopulation, diminished hopes of a peaceful world if there is some means of escaping the aftermath of the next world war, etc. The “good” reasons for interstellar travel tend to focus on existential threats, such as the possibility of a massive asteroid striking the earth, drastic swings in climate, whether natural or anthropogenic, and depletion of the earth’s resources. It has even been proposed that destructive humans be transplanted to other, less sensitive planets, leaving the earth as a “nature park” in space, presumably to be visited by interstellar tourists from time to time. My own moral intuitions tend to favor survival as a prime virtue, so I support continued research towards enabling interstellar travel. After all, if we choose not to leave our home planet, our genetic descendants, whether in the long or the short run, are doomed to extinction. That said, I do not underestimate the difficulty of reaching the stars. Human interstellar travel will require massive amounts of energy stored in a much more concentrated form than chemical rocket fuels. The smaller the mass, the easier it is to accelerate to extreme velocities, so it may be that we will need to rely on seed ships to escape our home world. These would carry only eggs and sperm, or genetic material in a similarly compact form. Human beings would be born in artificial wombs, and raised by intelligent robots in prefabricated bases, perhaps constructed by self-replicating nano-robots at the destination planet. All this, of course, assumes massive technological advances in many areas, and it is impossible to predict when and even if they will occur. In the meantime, I suggest we make a start with the technologies available now. We cannot leave the planet and expect to survive the trip across the vast interstellar voids at the moment, but other life forms, with all of which we share a direct, if distant ancestor, can. The 32,000 year old seed of a complex, flowering plant recovered from the ice was recently germinated by a team of scientists in Siberia. Ancient bacteria, as much as 250 million years old have been recovered from sea salt in New Mexico, and also brought back to life. Tiny animals known as tardigrades have survived when exposed to the harsh environment of outer space. We might choose the species from among such candidates most likely to survive the 50,000 to 100,000 years required to journey to nearby stars with conventional rocket propulsion, and most likely to evolve into complex, land-dwelling life forms in the shortest time, and send them now, instead of waiting 100’s or 1000’s of years for the emergence of the advanced technologies necessary to send humans. Slowing down at the destination star would not pose nearly the problem that it does for objects traveling at significant fractions of the speed of light. The necessary maneuvers to enter orbit around and seed promising planets could be performed by on-board computers with plenty of time to spare. Oceans might be seeded with algae in advance of the arrival of organisms that feed on it. The travel time could be reduced significantly by using nuclear rockets similar to those which have already been built and tested decades ago. The nuclear reactors would be shut down during most of the journey. They would be activated again as the destination star was approached for deceleration and the necessary final maneuvers. During the journey, the small amounts of energy needed to power timing devices for signaling the nuclear reactors to resume operation when necessary, maintain minimal environmental life support conditions, etc., could be supplied using the same power source used by the Curiosity Rover. However, for such long voyages, plutonium 239 could be used instead of the plutonium 238 used on the rover. With a half life of over 25,000 years, it could supply a small but sufficient amount of energy during the long voyage and, perhaps, contribute power to the propulsion reactors at journey’s end. Missions using such advanced nuclear technology could probably only be carried out by technologically advanced states. However, seeding of the planets around nearby stars with very simple life forms such as bacteria could be undertaken by private companies such as those now engaged in building rockets for missions such as resupplying the space station. The main problem they would need to solve would be how to bring the seed craft out of hibernation at the end of the voyage without access to a suitable radioactive material. Perhaps they could purchase enough americium 243 or some other radionuclide with a sufficient half-life to do the job. Solar panels would begin to generate electricity as the craft approached the target star, but none currently available are capable of surviving such a long voyage. Still, the amount of energy necessary to signal the propulsion and other systems to resume operation would be tiny, and this does not seem to be an insurmountable problem. Why would this be “ethical”? Because it would enable the survival of the DNA-based life that has evolved on earth, to all forms of which we humans are related. There cannot be anything more immoral than failure to survive. Anyone who thinks otherwise lacks awareness of why morality exists to begin with. More on E. O. Wilson’s “The Social Conquest of Earth”: Let the Kerfluffles Begin! The same cosmic myopia exists today a fortiori in the dreams of colonizing other star systems. It is an expecially dangerous delusion if we see emigration into space as a solution to be taken when we have used up this planet. Surely one moral precept we can agree on is to stop destroying our birthplace, the only home humanity will ever have. The evidence for climate warming, with industrial pollution as the principle cause, is now overwhelming. There is a principle to be learned by studying the biological origins of moral reasoning… If such greater understanding amounts to the “moral relativism so fervently despised by the doctrinally righteous, so be it. It is that outside the clearest ethical precepts, such as the condemnation of slavery, child abuse, and genocide, which all will agree should be opposed everywhere without exception, there is a larger gray domain inherently difficult to navigate. For scientific as well as for moral reasons, we should learn to promote human biological diversity for its own sake insted of using it to justify prejudice and conflict. This circumstance lends credence to the view that the colony can be viewed as an individual organism or, more precisely, an individual superorganism. In this sense, I have argued, the primitive colony is a superorganism. It would have been nice if Wilson had mentioned the great South African, Eugene Marais, who first proposed the idea of a superorganism in the context of his studies of termites, in the course of these discussions. Readers of today will find some remarkably modern insights in books such as The Soul of the White Ant and The Soul of the Ape. To say Marais was ahead of his time is an understatement. In any case, I hope all the controversy Wilson’s latest is bound to inspire won’t have the unfortunate effect of toppling him from his exalted state as the “father of evolutionary psychology.” The field has enough unpersons as it is. Regardless, some rewriting of textbooks will likely be in order. For example, in David Buss’ Evolutionary Psychology he refers to the “bulk of the theoretical tools” in Wilson’s Sociobiology as “inclusive fitness theory, parental investment theory, parent-offspring conflict theory, and reciprocal altuism theory.” Might it not, perhaps, be best, to avoid “confusing” young undergraduates, to just let Wilson’s group selection faux pas pass in silence? If not, and his head must indeed roll, I hereby nominate Charles Darwin as the new “father of evolutionary psychology.” At least he will be a safe choice. Stephen Hawking is in the news again as an advocate for space colonization. He raised the issue in a recent interview with the Canadian Press, and will apparently include it as a theme of his new TV series, Brave New World with Stephen Hawking, which debuts on Discovery World HD on Saturday. There are a number of interesting aspects to the story this time around. One that most people won’t even notice is Hawking’s reference to human nature. Here’s what he had to say. Our population and our use of the finite resources of planet Earth are growing exponentially, along with our technical ability to change the environment for good or ill. But our genetic code still carries the selfish and aggressive instincts that were of survival advantage in the past. It will be difficult enough to avoid disaster in the next hundred years, let alone the next thousand or million. The fact that Hawking can matter-of-factly assert something like that about innate behavior in humans as if it were a matter of common knowledge speaks volumes about the amazing transformation in public consciousness that’s taken place in just the last 10 or 15 years. If he’d said something like that about “selfish and aggressive instincts” 50 years ago, the entire community of experts in the behavioral sciences would have dismissed him as an ignoramus at best, and a fascist and right wing nut case at worst. It’s astounding, really. I’ve watched this whole story unfold in my lifetime. It’s just as stunning as the paradigm shift from an earth-centric to a heliocentric solar system, only this time around, Copernicus and Galileo are unpersons, swept under the rug by an academic and professional community too ashamed of their own past collective imbecility to mention their names. Look in any textbook on Sociology, Anthropology, or Evolutionary Psychology, and you’ll see what the sounds of silence look like in black and white. Aside from a few obscure references, the whole thing is treated as if it never happened. Be grateful, dear reader. At last we can say the obvious without being shouted down by the “experts.” There is such a thing as human nature. Now look at the comments after the story in the Winnipeg Free Press I linked above. Here are some of them. “Our only chance of long-term survival is not to remain lurking on planet Earth, but to spread out into space.” If that is the case, perhaps we don’t deserve to survive. If we bring destruction to our planet, would it not be in the greater interest to destroy the virus, or simply let it expire, instead of spreading its virulence throughout the galaxy? And who would decide who gets to go? Also, “Our only chance of long-term survival is not to remain lurking on planet Earth, but to spread out into space.” What a stupid thing to say: if we can’t survive ‘lurking’ on planet Earth then who’s to say humans wouldn’t ruin things off of planet Earth? I will not go through any of this as I will be dead by then and gone to a better place as all those who remain and go through whatever happenings in the Future,will also do! I’ve written a lot about morality on this blog. These comments speak to the reasons why getting it right about morality, why understanding its real nature, and why it exists, are important. All of them are morally loaded. As is the case with virtually all morally loaded comments, their authors couldn’t give you a coherent explanation of why they have those opinions. They just feel that way. I don’t doubt that they’re entirely sincere about what they say. The genetic programming that manifests itself as human moral behavior evolved many millennia ago in creatures who couldn’t conceive of themselves as members of a worldwide species, or imagine travel into space. What these comments demonstrate is something that’s really been obvious for a long time. In the environment that now exists, vastly different as it is from the one in which our moral predispositions evolved, they can manifest themselves in ways that are, by any reasonable definition of the word, pathological. In other words, they can manifest themselves in ways that no longer promote our survival, but rather the opposite. As can be seen from the first comment, for example, thanks to our expanded consciousness of the world we live in, we can conceive of such an entity as “all mankind.” Our moral programming predisposes us to categorize our fellow creatures into ingroups and outgroups. In this case, “all mankind” has become an outgroup or, as the commenter puts it, a “virus.” The demise, not only of the individual commenter, but of all mankind, has become a positive Good. More or less the same thing can be said about the second comment. This commenter apparently believes that it would be better for humans to become extinct than to “mess things up.” For whom? As for the third commenter, survival in this world is unimportant to him because he believes in eternal survival in a future imaginary world under the proprietership of an imaginary supernatural being. It is unlikely that this attitude is more conducive to our real genetic survival than those of the first two commenters. I submit that if these commenters had an accurate knowledge of the real nature of human morality in the first place, and were free of delusions about supernatural beings in the second, the tone of their comments would be rather different. And what of my opinion on the matter? In my opinion, morality is the manifestation of genetically programmed traits that evolved because they happened to promote our survival. No doubt because I understand morality in this way, I have a subjective emotional tendency to perceive the Good as my own genetic survival, the survival of my species, and the survival of life as it has evolved on earth, not necessarily in that order. Objectively, my version of the Good is no more legitimate or objectively valid that those of the three commenters. In some sense, you might say it’s just a whim. I do, however, think that my subjective feelings on the matter are reasonable. I want to pursue as a “purpose” that which the evolution of morality happened to promote; survival. It seems to me that an evolved, conscious biological entity that doesn’t want to survive is dysfunctional – it is sick. I would find the realization that I am sick and dysfunctional distasteful. Therefore, I choose to survive. In fact, I am quite passionate about it. I believe that, if others finally grasp the truth about what morality really is, they are likely to share my point of view. If we agree, then we can help each other. That is why I write about it. By all means, then, let us colonize space, and not just our solar system, but the stars. We can start now. We lack sources of energy capable of carrying humans to even the nearest stars, but we can send life, even if only single-celled life. Let us begin. DARPA seems to have its priorities straight when it comes to space exploration. The agency is funding what it calls the “100 Year Starship” program to study novel propulsion systems with the eventual goal of colonizing space. Pete Worden, Director of NASA’s Ames Center, suggests that Mars might be colonized by 2030 via one-way missions. It’s an obvious choice, really. There’s little point in sending humans to Mars unless they’re going to stay there, and, at least from my point of view, establishing a permanent presence on the red planet is a good idea. My point of view is based on the conclusion that, if there’s really anything that we “ought” to do, it’s survive. Everything about us that makes us what we are evolved because it promoted our survival, so it seems that survival is a reasonable goal. There’s no absolutely legitimate reason why we should survive, but, if we don’t, it would seem to indicate that we are a dysfunctional species, and I find that thought unpleasant. There, in a nutshell, is my rationale for making human survival my number one priority. It will be difficult enough to avoid disaster on planet Earth in the next hundred years, let alone the next thousand, or million. The human race shouldn’t have all its eggs in one basket, or on one planet. Let’s hope we can avoid dropping the basket until we have spread the load. Not unexpectedly in this hypermoralistic age, morality is being dragged into the debate. The usual “ethics experts” are ringing their hands about how and under what circumstances we have a “right” to colonize space, and what we must do to avoid being “immoral” in the process. Related discussions can be found here and here. Apparently it never occurs to people who raise such issues that human beings make moral judgments and are able to conceive of such things as “rights” only because of the existence of emotional wiring in our brains that evolved because it promoted our survival and that of our prehuman ancestors. Since it evolved at times and under circumstances that were apparently uninfluenced by what was happening on other planets, morality and “rights” are relevant to the issue only to the extent that they muddy the waters. Assuming that others agree with me and Dr. Hawking that survival is a desirable goal, then ultimately we must seek to move beyond our own solar system. Unfortunately there are severe constraints on our ability to send human beings on such long voyages owing to the vast amounts of energy that would be necessary to make interstellar journey’s within human lifetimes. For the time being, at least, we must rely on very small vessels that may take a very long time to reach their goals. Nanotechnology is certainly part of the answer. Tiny probes might survey the earth-like planets we discover to determine their capacity to support life. Those found suitable should be seeded with life as soon as possible. Again, because of energy constraints, it may only be possible to send one-celled or very simple life forms at first. They can survive indefinitely long voyages in space, and would be the logical choice to begin seeding other planets. Self-replicating nano-robots might then be sent capable of building a suitable environment for more complex life forms, including incubators and surrogate parents. At that point, it would become possible to send more complex life forms, including human beings, in the form of frozen fertilized eggs. These are some of the things we might consider doing if we consider our survival important. Of course, any number of the pathologically pious among us might find what I’ve written above grossly immoral. The fact remains that there is no legitimate basis for such a judgment. Morality exists because it promoted our survival. There can be nothing more immoral than failing to survive. The Kepler Mission has now identified more than 700 suspected new planets, some of them earthlike, in interstellar space. As Insty would say, “faster please.” We should be searching for life forms on earth that are most likely to survive on these worlds and working on the technology to get them there as quickly as possible. At first these will be limited to single celled or simple multi-celled species that are small enough to accelerate to the speeds necessary for interstellar travel. While we’re doing that, we can work on the nano-technology required to self-assemble human nurseries on alien worlds capable of nurturing single human cells through birth to adulthood. The energy cost of sending fully developed human beings is prohibitive, and probably impossible at the moment. However, the technology required to send single living cells is within our grasp. Every other challenge we face and all the great political, religious, and ideological issues that have captured our imaginations and whipped us into self-destructive frenzies since the dawn of human existence pale in significance compared to the ultimate challenge of carrying life into interstellar space. Unless we meet the challenge, all our pompous babbling about morality and ethics will be as meaningless as the life of a soap bubble. There can be nothing more immoral than failing to survive.